* New: Avantlink Products module. * New: Product management tool. * New: Option ‘Out of Stock products’ – how to deal with Out of Stock products. * New: Module priority is applied to price sorting. * New: “Buy Now” button tags: MERCHANT , DOMAIN , PRICE , STOCK_STATUS . * Improvement: Tracking availability of products. * Improvement: WooCommerce synchronization: stock status. * Improvement: Unsubscribe link in confirmation email. * Improvement: CJ Products: Added price update feature. * Improvement: Flipkart: Mobile tracking URLs. 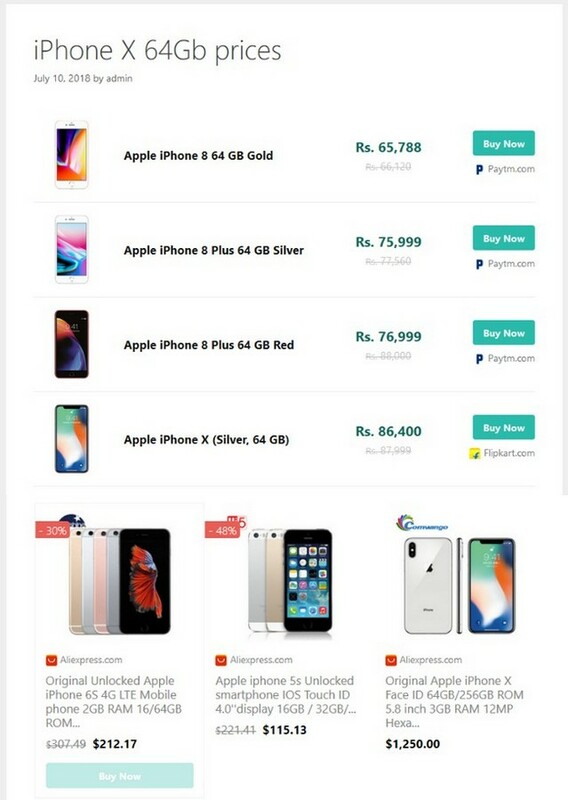 * Improvement: Flipkart: Deeplink option. * Improvement: Flipkart: Attributes filter. * Improvement: Ability to edit merchant name and domain. * Fix: QwantImages module search. 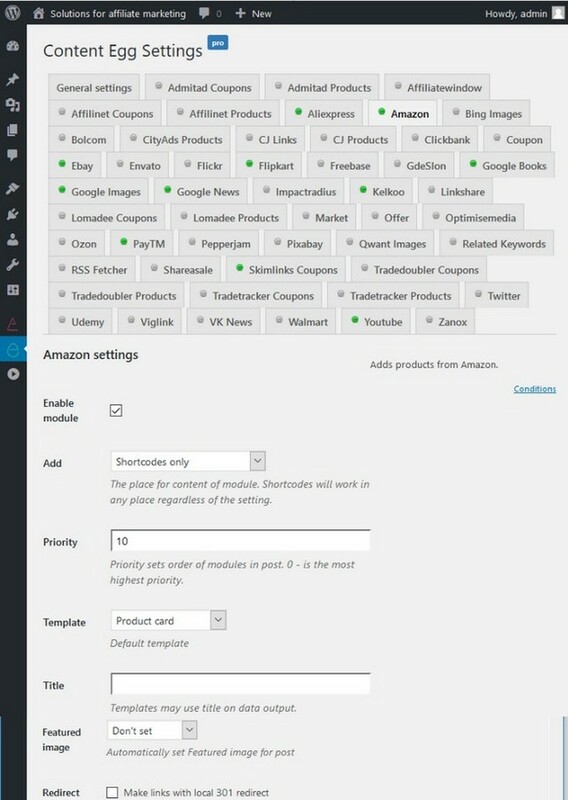 * New: Forced links update for Amazon module. * New: Ebay locales: HK, MY, PH, PL, SG. * New: Added support for Amazon Australia. * New: GdeSlon module options: Exclude Shop ID, Parked domain. * Fix: GdeSlon module multiple Shop ID filter. * Fix: Impactradius module: product search. * Fix: CJ Products module: Sorting. * Fix: Kelkoo module prices. * Improvement: Price conversion to one currency when product is selected for woo sync. 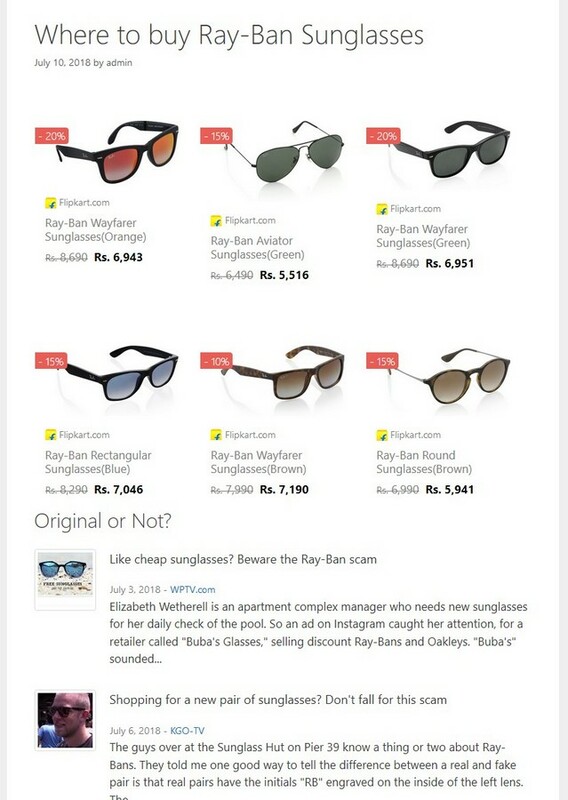 * New: Flipkart module: Search by product URL/product ID. * New: Price alert subscription report: added delete URL and unsubscribe URL. * New: Viglink module: Default currency code for search by URL feature. * New: Viglink module: Deeplink setting for search by URL feature. * Fix: Dublicate images during update by keyword. * New: Price Movers widget. * New: Price Movers shortcode: [content-egg-price-movers]. 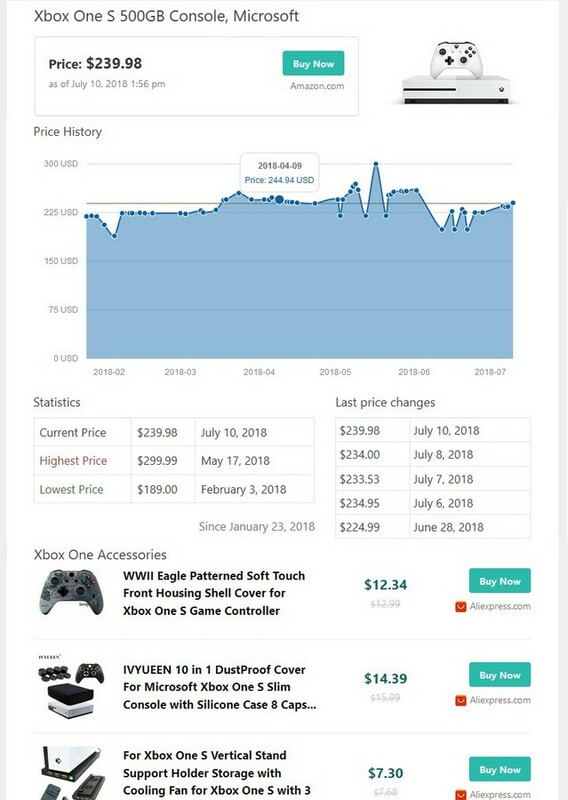 * New: Viglink price update for products added by direct URL. * New: Block template:: Grid with prices (3 column). * New: Sort order (asc/desc) for block shortcodes: [content-egg-block template=offers_list order=desc]. * New: Amazon price disclaimer. * New: Amazon module: Show small logos option. * New: Woocommerce synchronization for Offer module. * New: Сurrency converter for order products by price. * New: Ability to edit Domain field for products. * New: Google Images module. * New: Qwant Images module. * New: Lomadee Products module. * New: Lomadee Coupons module. * New: Coupon module: Hide expired coupons option. * New: Coupon module: Hide future coupons option. * Improvement: Bing Images module: API changed from v5 to v7. * Improvement: Related Keywords module: API changed from v5 to v7. * Fix: Skimlinks Coupons module: Site Id option. * Fix: Google News module results. * New: Show price update date for WooCommerce products. * New: Ability to edit product attributes. * New: Block template: Price comparison widget. * New: Block template: Grid without price (4 column). * New: Block template: Price history for lowest price product. * New: Block template: Price alert for lowest price product. * New: Regular expression in Deeplink settings: regex[replacement]. * Improvement: Synchronize attributes automatically for synchronized product. * Improvement: Prepopulate user email for exist user in price alert form. 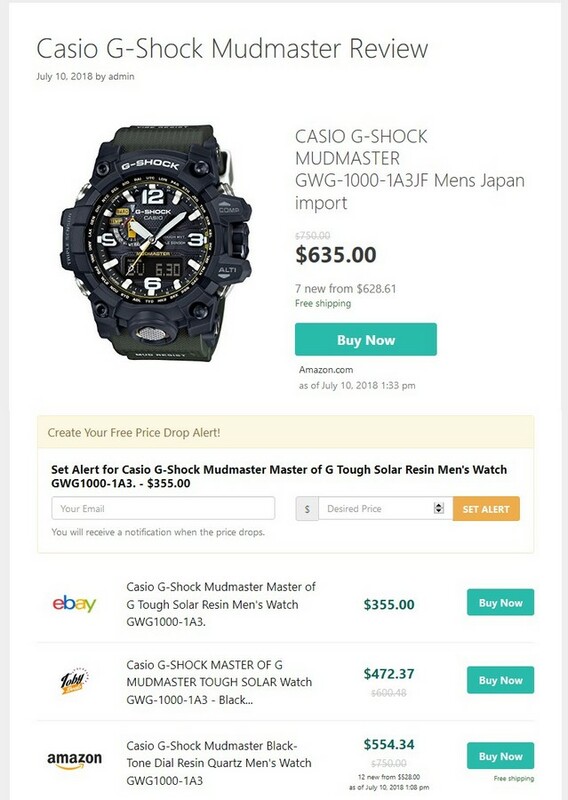 * Improvement: Ebay module: Ebay.in Affilite ID. * Improvement: Linkshare: Filter dublicates option. * Fix: Redirect links with post_id param in shortcode. * New: Skimlinks Coupons module. * New: Viglink module: Search by product URL. * New: WooCommerce products synchronization. * New: WooCommerce attributes synchronization (global and custom). * New: Curency converter for WooCommerce synchronization. * New: Latin slugs for WooCommerce attributes. * New: WooCommerce reviews rating for AE modules. * New: WooCommerce attributes filter (auto/blacklist/whitelist). * Fix: Tradedoubler price update. * Fix: Subscribers CSV export. * Improvement: ‘product-search’ filter for Frontend search. * New: Post type for Fill utility. * New: Post status for Fill utility. * New: Сustom fields for Fill utility. * New: Subscribers CSV export. * Improvement: Amazon: Getting price for parent products. * Improvement: Affilinet: https affilite links support. * New: Price filter in search form. * New: Price filter for autoupdate (Amazon, Ebay, Aliexpress). * New: Search by product URL (Amazon, Aliexpress). 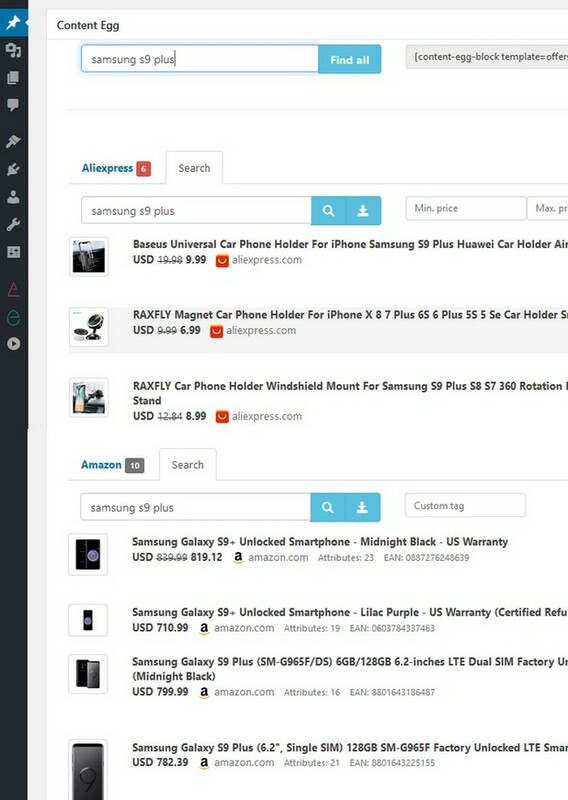 * New: Aliexpress search by product ID. * New: Prefill from Arbitrary custom field keyword source. * New: Ebay – AvailableTo filter.